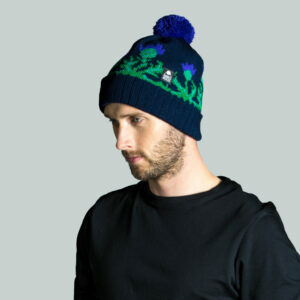 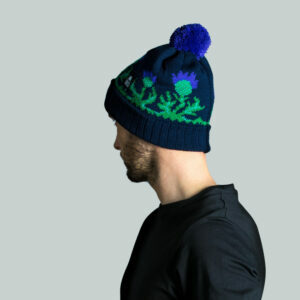 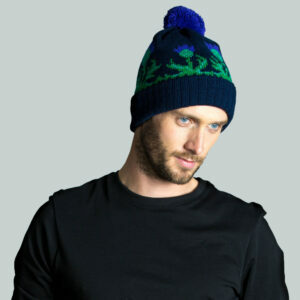 Spike is our traditional Scottish thistle hat incorporating a cluster of flowers around the head. We’ve used a base colour of navy which is complemented by two shades of green and bright purple for the thistle heads and pompom. 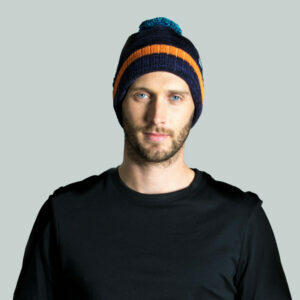 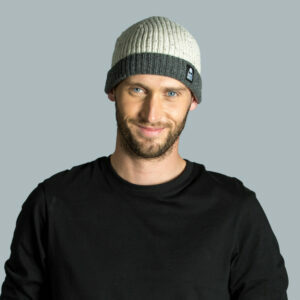 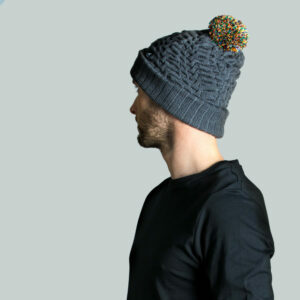 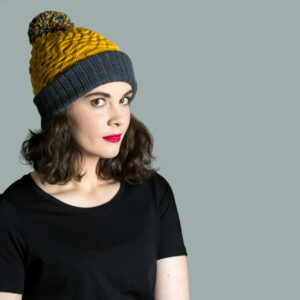 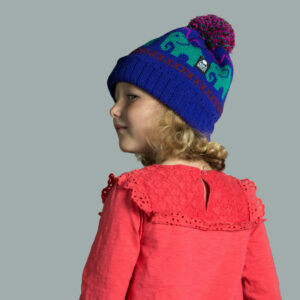 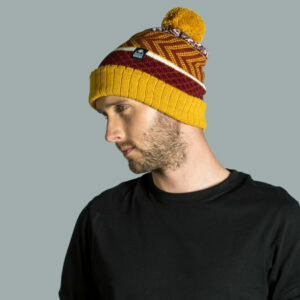 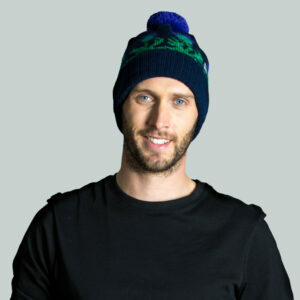 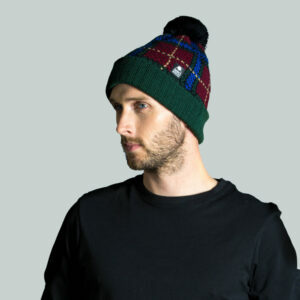 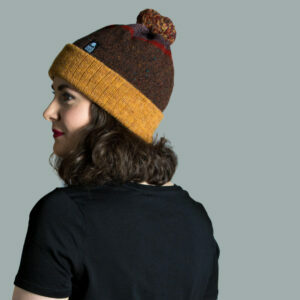 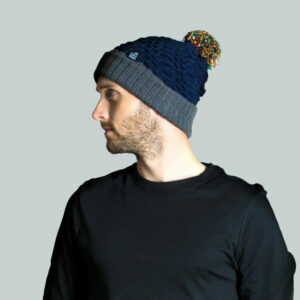 This hat is made with acrylic yarn which is soft to touch and feels cosy on your head.